I wanted to share 4 Cyber stories – these are actual stories that have happened in the past year or so, most caught before the problem escalated. Each story represents a core problem businesses and individuals face every day in this fast paced world, and no company is immune from the dangers. What do we recommend for our business clients? Education: Educate your staff, and have policies and procedures to prevent opening or sending/forwarding of potentially corrupt emails/attachments/web-links. There are now services available that can send your employees fake emails to test how well they avoid clicking on potential viruses. Insure: Purchase a cyber-liability and data-breach insurance policy, which can help pay for expenses your company incurs as a result of a cyber/data breach event, and/or expenses for which your company is liable, if you accidentally cause a cyber/data-breach event affecting others. Annual premiums can range from around $1,000 to $10,000 or more, depending on your company’s size, operations, number of personnel/client files, and amount and type of coverages… perhaps well worth it, given the increasing threat of cyber/data-breach events for companies of all sizes. First, we discuss a firm that was nearly tricked into a substantial wire transfer, why they didn’t fall for the scam, and what coverage would have responded had they sent the money… A small business client of ours nearly fell victim to a “spear phishing” campaign, a targeted email request based on intimate knowledge of the key players in the business. The wife and bookkeeper received an email that appeared to be from her husband, asking her to wire money to a seemingly known recipient. The instructions were not unusual – the wiring of funds and how the email was received were both “normal”, and the recipient was familiar. The wife took the extra step of calling her husband to verify that the wire transfer request was real, and was grateful she did. The husband verified that he had made no such request. As in this case, your firm should ALWAYS double check any financial email request, BY PHONE, before acting. Note that if an email has been compromised, replying to the email may get you a response from the hacker, telling you that the bogus payment is acceptable. Always get a verbal response before proceeding. This “spear phishing” scam has been responsible for countless millions of dollars being sent to cyber criminals. In the heat of the moment, when time is short, a seemingly accurate email may be acted upon without any verification, and money sent to untraceable sources. 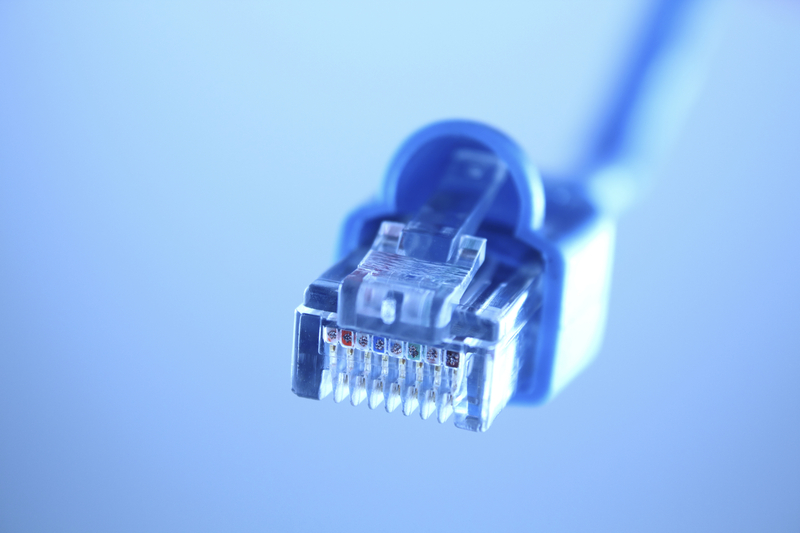 If you do not have proper cyber coverage, the money is lost and there is no recourse. “Spear Phishing” is considered “Social Engineering”, because cyber criminals invest time to learn about an individual before approaching them. “Social Engineering” coverage is an available option on certain cyber liability policies – see your Cyber Liability quotation or policy for details. 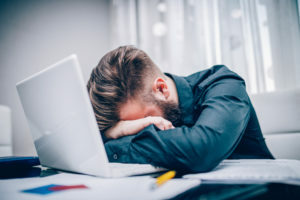 It is said that the greatest cyber risk to a company is not a hole in a firewall, server, or anti-virus program, but employees sitting at their computers. When you mix technological holes with human error, the risks rise considerably. A Levitt-Fuirst client, through an unknown series of events, received a virus on an employee’s workstation. 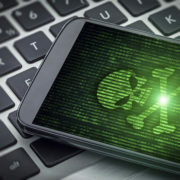 When that employee inadvertently sent an email containing the virus to another company, and the virus infected that business partner’s network, a potential liability was created. At the very least, a company whose employee sends a virus to another company may be expected to pay to correct the cyber damage caused. 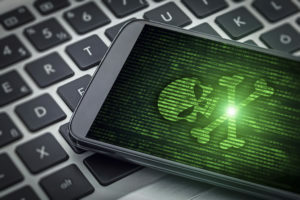 Experts agree – if you send a virus to another individual or firm, even if you have no idea you are doing it, you can be held liable for the damages incurred by your mistake. Security & Privacy Liability protects your company from liability resulting from a security and privacy wrongful act, including failure to safeguard electronic or non-electronic confidential information, failure to prevent virus attacks, denial of service attacks or the transmission of malicious code from your computer system to the computer system of another party. In today’s fast paced world of deadlines, we sometimes do things too fast, without double checking the details. A financial services client, under deadline, emailed payroll accounts to the wrong client. These payroll reports contained extensive “Personally Identifiable Information” (PII) including names and social security numbers. Federal law requires any entity that shares PII, or has files containing stolen PII, to identify those impacted by the breach, notify all impacted individuals or parties, and an offer credit monitoring to those impacted individuals or parties. In this case, the list of individuals was clear, but forensic expense to find out if data was stolen and who is impacted, could have run into the hundreds of thousands of dollars – simply to understand who the impacted individuals or groups were! Breach Event Costs is coverage for reasonable mitigationcosts and expenses incurred as a result of a privacy breach, security breach or adverse media report, including legal expenses, public relations expenses, advertising and IT forensic expenses, postage, and the cost to provide call centers, credit monitoring and identity theft assistance. The coverage also includes coverage for Proactive Privacy Breach Response Costs – public relations expenses incurred in response to a privacy breach, but prior to the publication of an adverse media report, in an effort to avert or mitigate the potential impact of such an adverse media report on the insured’s reputation. Coverage also includes Voluntary Notification Expenses – expenses incurred in notifying affected parties of a privacy breach where there is no requirement by law to do so. Recently, a non-profit client of Levitt-Fuirst suffered a spear phishing, or social engineering, attack that almost bore fruit. We have all seen emails that appear to be from someone we know, but realize (by good sense or a note of warning) that it is a scam. Most often, these are “Spoofed” email addresses – the user wasn’t hacked, but their email address was faked to entice you into clicking. The board president of our non-profit client had his email address spoofed, and an email was sent to other board members “from” the board president. The note asked each board member to pay some vendors this month because the non-profit didn’t have the cash available. The email said the board members would be reimbursed once dues were collected. One board member, knowing the financial challenges the non-profit sometimes faced, surmised that the request was not unreasonable, and sent a check via overnight delivery. Luckily, this board member realized her mistake and quickly put a stop payment on her check and called the overnight company to stop delivery of the check… Crisis (barely) averted. Over the last week we have received many questions about insurance coverage for trees falling on your property. However, we have not been asked “if a tree falls when no one is home, does it make a sound?”. When a tree falls onto your neighbor’s property as a result of nature (i.e. 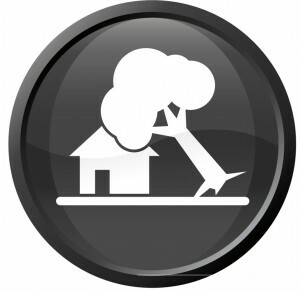 an “Act of God”), and not your negligence, removal of the tree and resulting damage is typically the responsibility of the owner of the property where the tree lands. Sometimes, to remain good neighbors, both parties split the costs. Please contact us with any questions on this, or any other coverage or claims topic, or visit our Claims page for more information. Visit Levitt-Fuirst at the BRI of Westchester at the Mid-Hudson Valley’s 2017 Vendor Showcase. 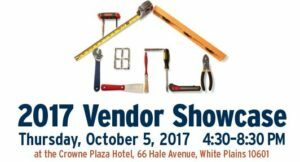 On Thursday, October 5th, we invite you to visit Levitt-Fuirst at the Crowne Plaza Hotel in White Plains for the 2017 Vendor Showcase. The annual event is presented by the Building & Realty Institute of Westchester and includes some of the regions finest contractors, service firms, properties, and property managers. Admission is free, but you must first register with Maggie Collins at Maggie@BuildersInstitute.org. View the promotional flier by clicking this link. I have found many sites that are incredibly useful to homeowners, from valuation to improvement to protection – and recently stumbled across The Popular Home. Filled with interesting items, a recent blog post seemed to strike that balance between easy to do and big benefits. Take a look at these 65 simple home improvement tips from The Popular Home, and let us know if you implemented any of them – a few will certainly make their way to my property in the coming weeks and months. 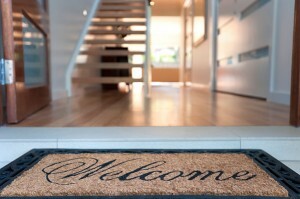 As a reminder – larger changes to your home may require updates to your insurance policy. Pools, additions, garages or other big alterations may require an endorsement to your policy. Be sure to contact us with any questions about your homeowners insurance, so you can be confident that you are covered for every eventuality. In 2018, New York will implement one of the most complete Paid Family Leave laws in the United States. The law will be applicable to every employed New Yorker, and the policy will piggy back onto your current business Disability policy. There are decisions to be made, however, and now is the time to begin the process. Examples: In 2018, an employee who makes $1,000 a week would receive a benefit of $500 a week (50% of $1,000). Another employee who makes $2,000 a week would receive a benefit of approximately $652, because this employee is capped at one-half of New York State’s Average Weekly Wage (NYSAWW) —currently $1,305.92. Half of that amount is the $652 benefit. Full time employees are eligible after 26 weeks of being hired. Part-time employees are eligible after 175 days of being hired. PFL coverage will automatically be endorsed onto your Statutory Short Term Disability Policy (DBL) effective 1/1/18. Benefits can be 100% employee funded via payroll deduction or Employer can choose to pay all or part of it. The weekly contribution rate is 0.126% of the employee’s weekly wage capped at the statewide wage of $1305.92 which translates to a maximum contribution of $1.65 per week or just under $86 per year per person. Click Here To download or share this document in PDF Format. Click here to be re-directed to the NY Paid Family Leave informational website presented by Shelterpoint. Sign up to learn more and receive updates on PFL. On April 25th, Levitt-Fuirst Associates was honored to receive the Hall of Fame Family Owned Business Award, presented by the Business Council of Westchester. The evening included 5 other award recipients (Montefiore, Valerie Wilson Travel, Better Homes & Gardens Rand Realty, Leason Ellis Law Firm, and DeCicco & Sons Grocer) along with 680 attendees, and was held at the beautiful venue of Glen Island Harbor Club in New Rochelle. We were honored to be inducted into the Hall of Fame, and 40 or so Levitt-Fuirst employees, along with many of our clients and business partners, attended the event. Watch the short video the Business Council created to tell the story of Levitt-Fuirst. The Family Business Award is fitting for Levitt-Fuirst, as we were founded by David Levitt and Alan Fuirst in 1969, and continues to flourish today with Ken Fuirst, Jason Schiciano (Son-in-law to David Levitt), Valerie Levitt, and Ondrea Levitt all continuing the two-family tradition. It is also fitting because the business is not simply run by two families, it is run like a family. 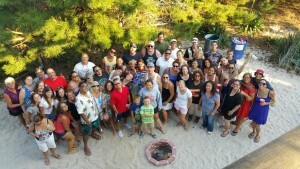 The employees at Levitt-Fuirst are treated as a part of the LF family, with trips to Long Beach Island every year, regular after work meet-ups to celebrate “Non-Work Related” events (Cinco de Mayo 2017, here we come! 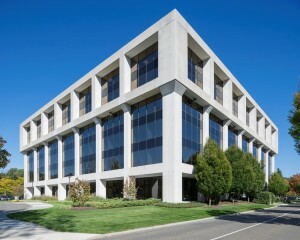 ), monthly birthday events, holiday parties, and many other events for employees and our families. We work together, spend time outside of work together, and volunteer together – as a family. Like any family, there are ups and downs – but like any family, we stick together. Levitt-Fuirst has had amazingly low turnover of its staff, something that is unusual in the very aggressive insurance brokerage industry. In our region, we compete with the largest regional and national brokerage firms – they are known to churn employees at a startling rate. In the middle of this storm, Levitt-Fuirst keeps its people by treating them like human beings, and by understanding that to be a true leader in our industry, you must hire and keep good people. I have been at Levitt-Fuirst for 6+ years, and most of the faces I started with are still here. There are many more faces, mind you – we have added 20 employees since that time – but the core people I met when I began work here continue to plug along with me day after day. During Jason’s BCW acceptance speech, he mentioned 3 people in particular, evidencing what Levitt-Fuirst stands for. Louise Rush just finished her 25th year at Levitt-Fuirst (you would never guess by looking at her). Louise has worked in just about every department in the office – our office’s swiss army knife, doing what needs to be done wherever her talents are needed. Jose Arevalo began as a mail clerk, and is now a million-dollar producer. Jose always joked he is Ken’s younger brother, because Alan Fuirst always treated him like a son. Kimberly Vargas was a receptionist, and is now the exceptional manager of our Personal Lines department, a highly profitable and essential piece of our business. 3 stories, unique to the industry but not unique to Levitt-Fuirst. The Family Owned Business Award was fitting, on many levels. The Levitt & Fuirst families have built a great business, relying on a great staff. The staff stays because we are treated well, and our opinions matter. 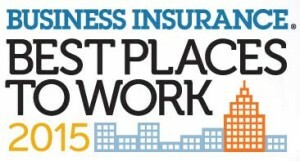 Because we have good people, and consistent staffing, our clients are better served. Because our clients are happy (Levitt-Fuirst retains clients on an exceptional level), we continue to grow. With growth, we hire more top notch employees. 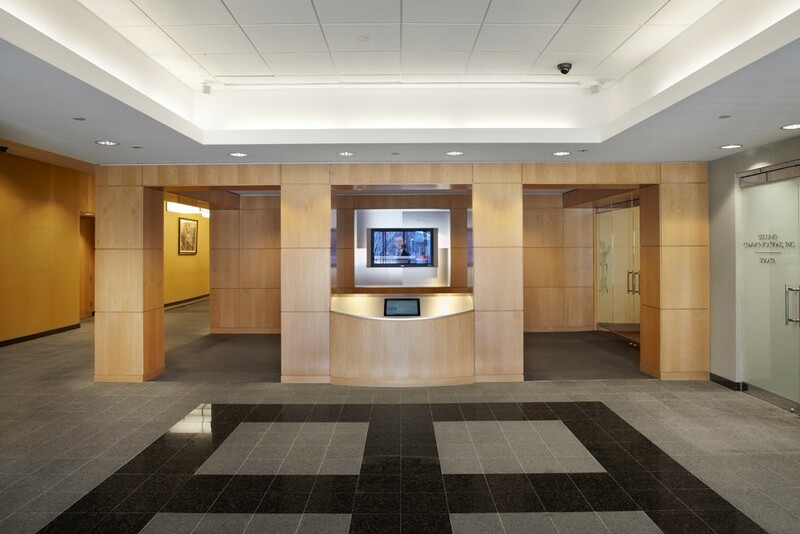 With our continued growth, we moved to a new office in Tarrytown, NY in 2016, and opened a Bonding office in New Jersey in 2017. We are happy with what we have been able to attain as a team, but are not satisfied – we look forward to the next challenge to continue to grow – as a family. We want to thank the BCW for recognizing the Levitt-Fuirst Family, the entire Levitt-Fuirst family, for this award. We truly appreciate the honor. 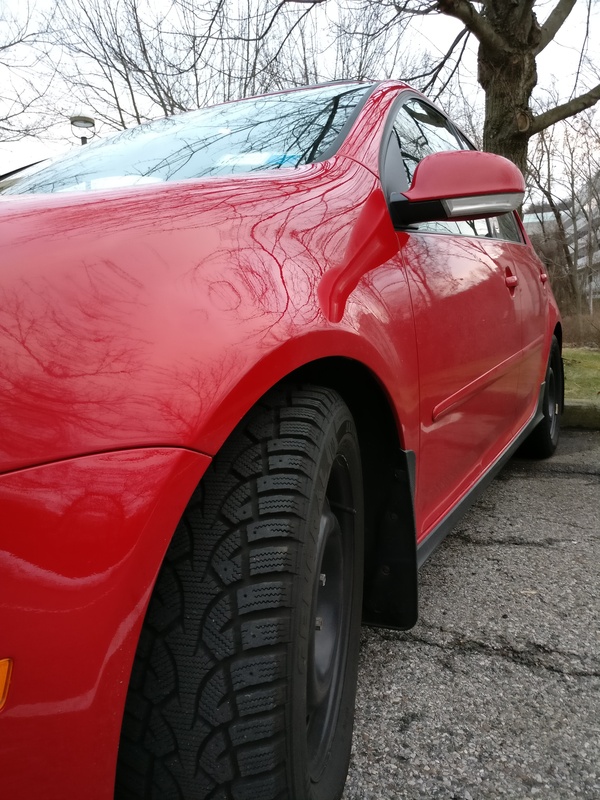 Back in 2014, I wrote a blog on snow tires. With Winter Storm Fortis hitting hard to our north, I realize that it is that time once again for a quick edit and repost. Levitt-Fuirst knows insurance, so consider this piece a different type of insurance – because sometimes insurance comes in a policy, but sometimes it comes in the form of 4 wheels ready to tackle the white stuff that is sure to follow. As the temperatures dip and the winter season arrives, it is time to think about snow tires (again). But I Have All-Season Tires! If you bought your car in the northeast, you were given All-Season Tires by default. Many people feel that their all-season tires are designed to survive winter’s wrath, but they are actually designed to do everything pretty well. Rain, not bad. Dry, perfectly fine. Race Track, meh, not so much. Snow? Ummmm… Snow? Not so good, really. If we get 3 or 4 inches of the white stuff, if you don’t go up or down hills much at all, if you can leave your car at home and take a train, then you could be set! For the rest of you, however, driving up and down hills and to and from work, taking your kids to school or driving mom to the airport; snow tires are just the kind of insurance for your family that makes a whole lot of sense. Option 1: If you have a small or economy car, you likely have wheels in the 15″ – 16″ size range. This is a good size for snow tires, so you can have them installed right on your current rims. This requires a repair shop or tire store to do the install. The benefits are you only have to pay for the tires and installation, the drawback is that you have to pay for that installation twice a year, as you switch between your winter and summer tires. Option 2: Get a totally separate set of wheels with your winter tires (as I have done with my VW, shown in the picture). You may see the term “Steelies” used for steel wheels that are often utilized for this purpose. For those of you with 18″ wheels or larger on your performance vehicle, this option may save you some money on the snow tires, as winter tires for large diameter wheels are expensive and less effective. Winter tires work well on smaller wheels because the tire sidewalls are larger than the low profile sport tires your car likely came with. My car, for example, has 18′ wheels with low profile tires, but I use 16′ steelies and winter tires – and paid less for the tires. The drawback to this option is the initial cost, as steelies run from $50 to $100 per wheel, and you may need 4 tire pressure sensors installed as well – a one-time charge, dependent on your car. The benefit is the ease of switching the wheels between seasons (your shop will charge you less, or you can do it yourself if you have a jack), and that you will have the wheels winter after winter. You also save your pretty shiny wheels from the winter salt and punishing ice, making them look better for longer. Winter is here, so now is the time! Contact one of the many retailers that sell those winter tires, because you need them more than you realize. You may be able to get some used rims off of Craig’s List, or order them online to save a few dollars. Store your summer tires for the year in your shed, garage or basement (always on their side, stacked), and enjoy the next 4 months without worry. You won’t believe the change in your car during the next storm! Now drive smart, drive carefully, and get there safe. Last week, I told you about the technology changes Levitt-Fuirst is going through. These are big updates to how we do business, and we are working hard to make the transition as smooth as possible. You would think that such a big adjustment in 2016 would be enough, but that is just the start. Change #2: Levitt-Fuirst Is On The Move! Levitt-Fuirst has been growing for some time now – pretty much from our inception in 1969. When I joined the firm 5 ½ years ago, we had just under 40 employees. We are now over 55 full and part time employees, and we continue to grow. This growth is a testament to the hard work and guidance of our Co-President’s Ken Fuirst and Jason Schiciano, the quality of employees they have attracted to the firm, and you, our clients. As our business has grown, our staffing needs have grown; as our staff has grown, our current office space has… Stayed exactly the same size. Levitt-Fuirst has been in Yonkers for a very long time, but our location on Executive Blvd. has been getting very busy lately. We are seeing the construction of hotels, retail space, and office space; and these changes have made the traffic worse by the day. Commutes for our staff have been increasing as the Saw Mill backs up in all directions. Several months ago, a beautiful unfinished space became available, and we are proud to say we have signed a lease at 520 White Plains Road in Tarrytown. The office search was a long time in the making, but the space we are moving into was worth the wait – it is a true upgrade in both size and quality. The new space will allow Levitt-Fuirst to continue to grow, and the quality of the building is unbelievable. We are building a healthy environment from scratch, with natural light, an open layout, and exceptional air and temperature controls. The space will be efficient, the layout designed for staff cooperation, and the technology and inernet access exceedingly fast in preparation for our new cloud based software. I think I speak for all of us here when I say how excited we are about this change. I have to apologize… I have been remiss in my blogging in 2016, a function of the changes taking place here at Levitt-Fuirst. As with any business, changes happen – both good and bad. I am happy to report that we are in the middle of the very good kind of change, with exciting things taking place later this year. These changes have taken a bite out of my time, but I think I am just rationalizing. With that in mind, I thought it was time to get back to work on the blog, to let you know what is happening here at Levitt-Fuirst. We have two big changes coming down the pike, today we will look at the first. Change #1: Computer Software Upgrade. Back in 2014, I wrote a blog about having the right tool for the job (Tool Shopping at Applied.net). Take a look at that post, because it is as true today as it was then. Go ahead, I will wait for you! Fast forward to September 2015, when Levitt-Fuirst began the process of upgrading to the newest, most powerful software tool for insurance agencies. Since 1999, we have been on Applied Systems’ flagship program, The Agency Manager. 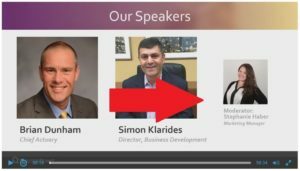 This all-inclusive management program is utilized by nearly 10,000 independent agents across the US, Canada, and the United Kingdom. Last fall, Levitt-Fuirst took the plunge and decided to upgrade to the latest, most powerful software offered by Applied Systems, their new flagship program Epic. How will this impact Levitt-Fuirst? How will this impact you? The impact on Levitt-Fuirst is ongoing. The process takes a year, and we are working diligently to make the transition as smooth as possible. We have a vanguard of staff testing the new software, learning its nuances, and finding flaws in the transfer of data. We plan to “go live” in Late September, and the full staff training will take place this summer and fall. During go live, we expect a stressful time as we move from the old and comfortable to the new and different. By 2017, we will be much more comfortable in our new processes, and the new will become the comfortable. The impact on our clients are many. First and foremost, we are expecting a more efficient system, allowing us to better serve you. The system will better document our interactions with you and our carrier partners, improving the information we have on hand, and speeding up our processes. Second, the new program is cloud based, allowing our staff to work from any location with internet connectivity. Should there be a regional calamity, we can shift our operations to any location with internet access. In 2014, we moved our email to Microsoft’s cloud based Office365, and our telephone system will be moved to a cloud based vendor this summer. The net result of all of these changes is in the event of a disaster, be it regional or very local, we will have the tools to be up and running quickly and efficiently. When your profession is protecting your clients in the event of a claim, having an emergency plan for your own systems is essential. To some, it may seem odd to write about what software we are using in our insurance office. To me, it is incredibly important to let you know that as the world is changing, Levitt-Fuirst is changing right along with it. We are not dragging our feet, we are actively pursuing a technological path that will help us take care of our clients’ needs today and tomorrow. We appreciate your trust in Levitt-Fuirst, and these changes give us the tools to continue to earn your trust into the future.